Fear The Triangle is meant to be a central place for UMass hockey fans to find all the relevant news from across the land regarding their UMass hockey team. 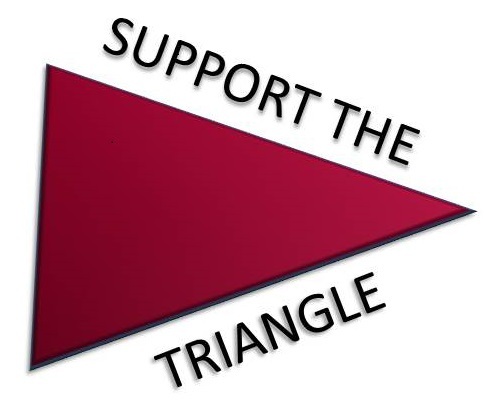 Written by a fan, for the fans, Fear The Triangle does its best to consolidate all mainstream media news, content from other UMass and hockey blogs, recruiting rumors and leads, and as much original content as possible into one stop shopping for the UMass hockey fan. I’ll also do my best to point you to the best places to head for a decent pregame pint. 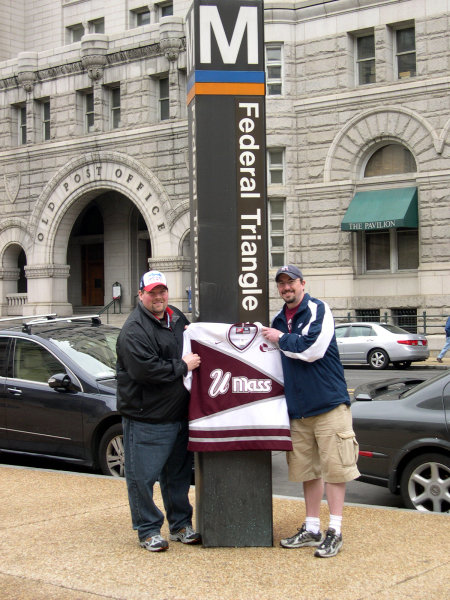 While a freshman at UMass, Mark Coogan ’98 ’06MBA had only been to a handful of hockey games in his lifetime when he walked into the Mullins Center on October 30th, 1993 to witness the rebirth of the Minuteman hockey program. Being a college hockey neophyte, he was thrilled to see his triangle-clad team dominate such a big name school like Villanova that night. Luckily in the years since he has actually learned a thing or two about the sport. When not at UMass hockey games he can usually be found somewhere on the Mass Pike between the Mullins Center and his South Shore home or perhaps at the local beer snob bar discussing IBUs, robust alts, and fine hops from the Pacific Northwest. Mark graduated from the University of Massachusetts in 1998 where he majored in both history and political science. He also holds a Masters of Business Administration from the University of Massachusetts’ Isenberg School of Management.